Ever wondered which part of India a particular delicacy is from? Indian food is known for its generous use of spices that results in diverse, rich flavours unique to its kind. Whether you are craving some authentic Indian food or are game to try something new, GrabFood’s Indian food delivery service is here to get you started on your gastronomic adventure! Biryani: A mixed rice dish made of spices, rice and meat such as chicken or mutton – different parts of India including Delhi and Chettinad serve different variations of this aromatic delicacy, but you can be assured they all share the same great taste! Curry: Depending on the geographic region, this heavily spiced dish differs in terms of its ingredients, spices and cooking methods, resulting in a wide array of distinctive curries. Hence, curries from regions such as Northern India and Southern India are all uniquely different but equally delicious. 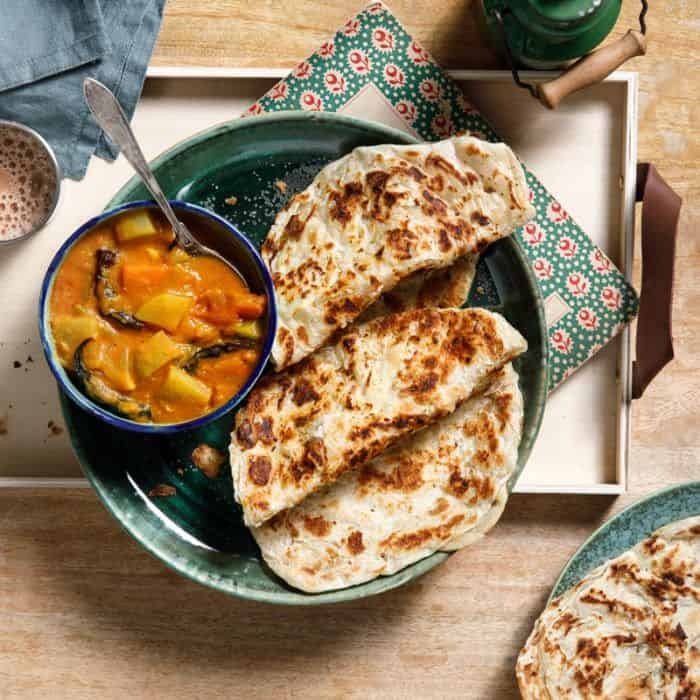 Naan: A leavened flatbread baked in an oven, this bread usually acts as an accompaniment to other Indian dishes in regions such as Delhi and Punjab in North India. It can be served plain, stuffed, or as a wrap, making this humble dish extremely versatile. 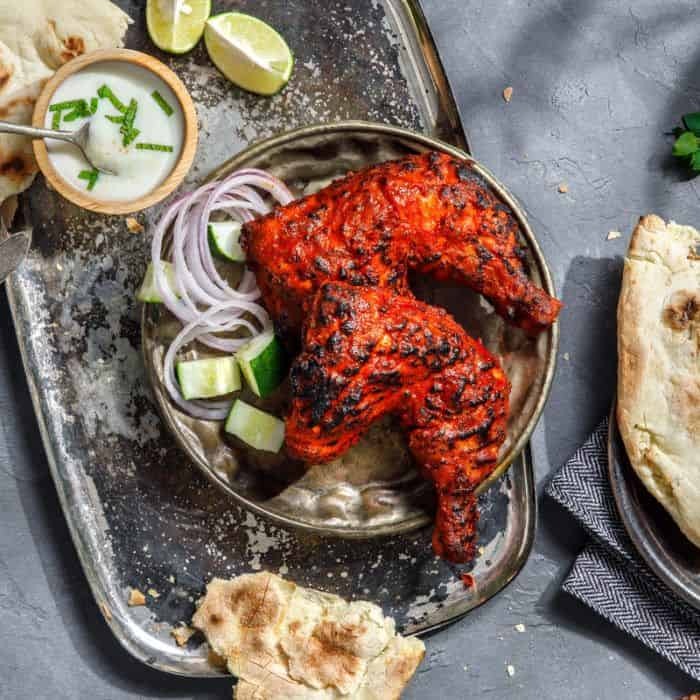 Tandoori Chicken: Originating from the Punjab region, this dish is traditionally prepared by marinating chicken in yoghurt and spices and roasting it in a tandoor, or a cylindrical clay oven. 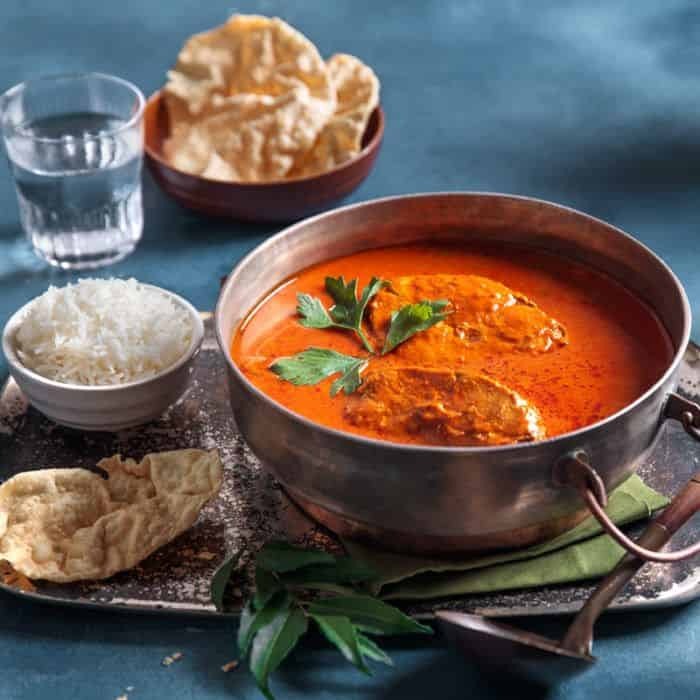 Not only is it used as a base for various cream-based curries such as butter chicken, but it has also led to the creation of other familiar dishes such as chicken tikka. Royal Indian Curry House: Get your fill of an assortment of Indian delicacies under one roof! From variations of mouth-watering briyani to tasty butter chicken masala, you can be sure to find something to satisfy your Indian food cravings. Some must try are the R.I.C.H. Tandoori Grilled Platter of Mix Kebabs for about 5 pax or the Hyderabadi Biryani if you are dining alone. Top it off with sides like Palak Paneer, Garlic and Butter Naan or some Keema Mutton. Wash it down with a cup of Strawberry Lassi and be satisfied with a wonderful meal delivered at your convenience. New Bombay: Enjoy a great selection of naan and other traditional Indian dishes such as tandoori chicken, mutton briyani, papadom, as well as appetizers like Cottage Cheese and Samosas. They also offer a spread of options from mutton, chicken, fish and prawns and even vegetarian! What makes New Bombay stand out is offering you a choice of spiciness level of Mild, Medium or Spicy to best suit your taste! Enjoy the spices that Indian food has to offer. Get a taste of another side of the world today with GrabFood’s food delivery app, an effortless way to savour delicious Indian food in the comfort of your home.